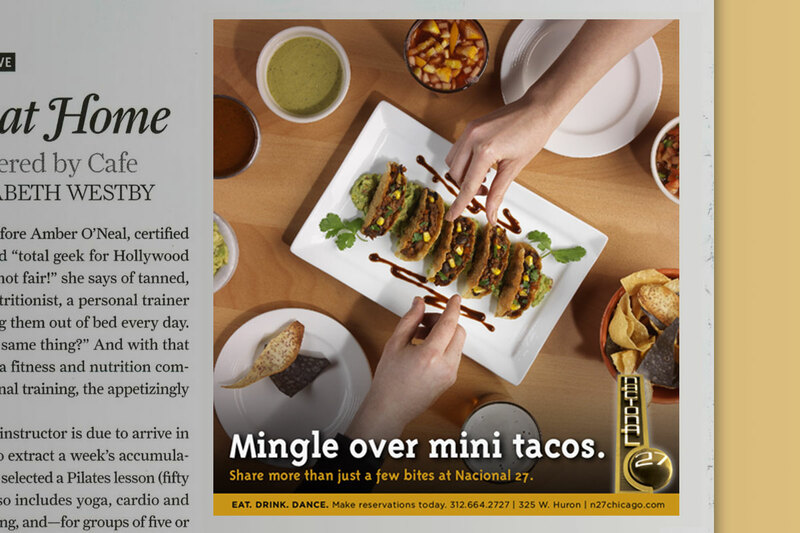 This was an advertising campaign for a Latin restaurant called Nacional 27. Its food is very creative, delicious, and easy to share with others. 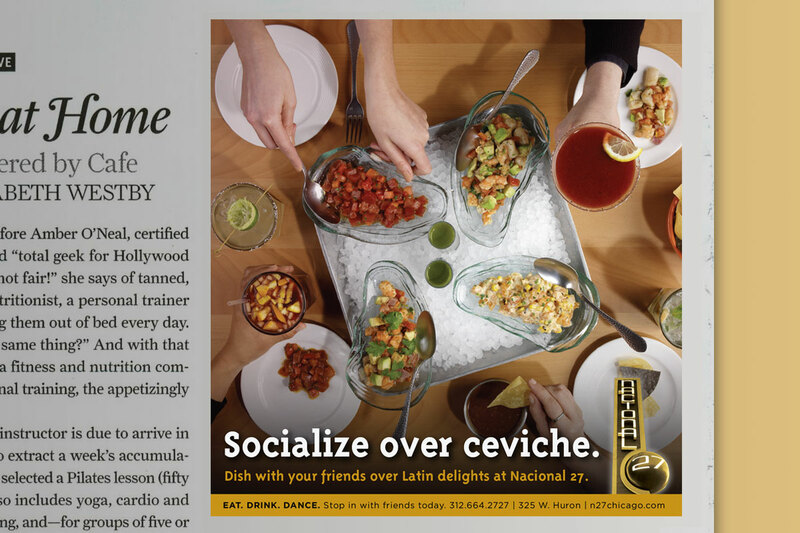 In fact, "socializing" over food is the focus of the restaurant experience at Nacional 27. I directed the photoshoot and captured this essence by taking shots from a bird’s eye view and showing close-ups of the food and people's hands. 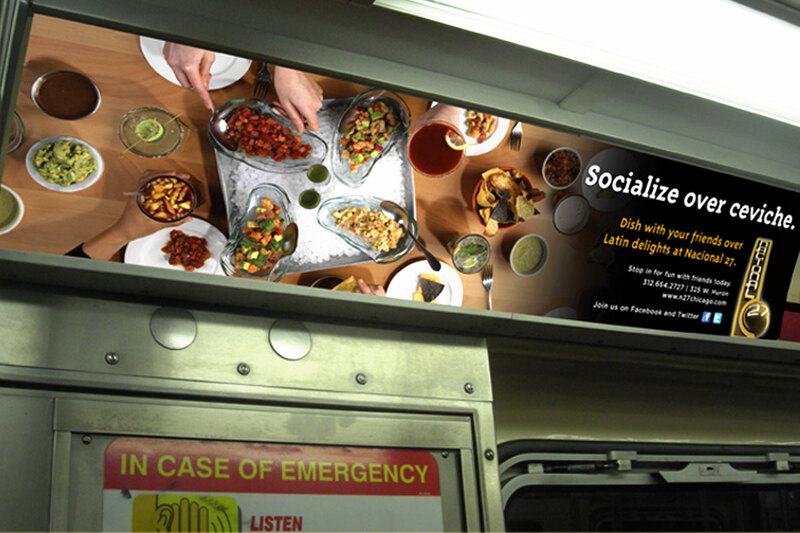 We ran these ads in magazines and CTA trains.